The multi award-winning musical play inspired by the remarkable true story of writer Tony Briggs’ mother, returns to the stage for a limited season. Plucked from obscurity, the four spirited women with powerhouse voices, called The Sapphires, are given the opportunity to entertain American troops in Vietnam. Catapulted onto the world stage as Australia’s answer to The Supremes, their journey of discovery offers them not only the chance to show off their musical skills, but also to find love and togetherness and experience loss and grow as women. This uplifting Australian classic, full of comedy, heart and romance, together with unbeatable soul music, will stay with you for years to come. FYI this production contains mild coarse language, simulated warfare and adult themes. The Sapphires won 11 AACTA Awards, including Best Adapted Screenplay, and Tony Briggs also received AWGIE Awards for the Most Outstanding Script of 2012 and Best Feature Film Adaptation. The Sapphires theatre production enjoyed triumphant sell-out seasons in Sydney and Melbourne, winning two Helpmann Awards for Best New Australian Work and Best Play in 2005. 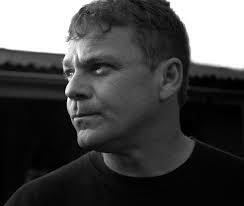 Tony Briggs is an acclaimed actor and writer for film, television and theatre. 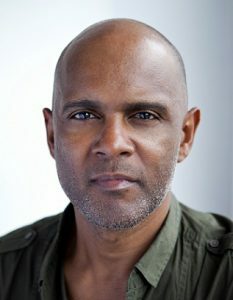 His acting career began on stage in the 1980’s and his many credits include lead roles in The Broken Shore, Seven Types of Ambiguity, The Slap, and the internationally acclaimed television series Cleverman. Tony’s feature film The Sapphires, which he co-wrote for the screen, was adapted from his award-winning theatre production and grossed over $14.4 million at the box office in Australia, making it the most successful Australian film of 2012. The film received a standing ovation at its world premiere at the 65th Cannes Film Festival and was released in the U.S. In 2013, Tony was awarded the Bob Maza Fellowship to attend an intensive directing course in New York and received development funding from Film Victoria for his documentary William Cooper. Tony co-created and wrote on the 8-part tv series, The Warriors with acclaimed director/producer Robert Connelly, which aired on ABC Television in 2017. Tony was also Executive Producer for the show while completing a Directors Attachment on the series. Prior to The Warriors Tony completed an extensive directors’ attachment on the acclaimed television series Jack Irish. Tony is currently writing and developing a slate of film and television projects which have been supported by the ABC, Film Victoria, NITV and Screen Australia. Back on stage in 2017, Tony appeared in Black Is The New White for the Sydney Theatre Company and in 2018 he will be associate director for Astroman for the Melbourne Theatre Company. Mark Howett is an award-winning director and designer for theatre and film. Originally from Australia, Mark now works on international projects with international collaborators. As a LX Designer, Mark has designed the lighting for many productions that have toured extensively in Australia and overseas. Cloudstreet, which Howett won the Robert Helpmann Award for Lighting Design 2002, toured to New York at the Brooklyn Academy of Music, National Theatre London and The Kennedy Centre Washington, Zurich, and nationally in Australia. Over the years Mark has made many collaborative pieces with traditional people from all over his country. In 2003 Mark designed the lighting for the international tour of Crying Baby for Stalker Theatre Company, working with the traditional people of Arnhem Land. Howett designed the lighting for Australian Ballet and Bangarra’s production of Rites, which was simulcast nationally on the Australian Broadcasting Commission, and toured to New York’s City Centre in 1999, also playing later at the Paris Opera House. Nathaniel Andrew is a Yorta Yorta, Tattyara and South Sea Islander man, recognised internationally as a bassist, guitarist, vocalist and music teacher. He holds a Bachelor of Jazz Studies (Distinction) from the Central Queensland Conservatorium of Music (2007) and Masters Of Music at the Cincinnati College Conservatorium of Music (2010) and is currently the Head of Music at QLD’s Aboriginal Centre for Performing Arts (ACPA). 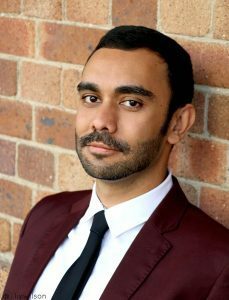 Nathaniel has demonstrated ensemble conducting and arranging skills including conducting the CCM Jazz Ensemble (2009 – 2010) and the Aboriginal Centre for Performing Arts/Queensland Performing Arts Centre collaboration Blak Electric (2014), Knock Knock (2015), Flight (2016), Melodies from Heaven (2016 & 2017) and Queensland Music Festival’s You’re The Voice event with Isaiah Firebrace. He has an international reputation as a bass guitarist and guitarist and has performed extensively in different groups, and as a soloist in the United States, New Zealand and Australia, as a vocalist, guitarist, bassist, musical director and conductor leading Jazz, Funk, Country, Blues, Rock and contemporary music ensembles and has worked with many distinguished musicians and soloists in these contexts including the Sydney Opera House, Madison Theatre (Covington KY), and Great American Ball Park (Cincinnati OH). Nathaniel has extensive experience as a session musician specialising on guitar, bass guitar and vocals and has been appointed sound engineer on many corporate and public events. He has an extensive knowledge of recording programs Logic Pro, Pro tools and Digital Performer as well as music notation software Sibelius, Finale and I Real Pro. Nathaniel will lead The Sapphires band of three.